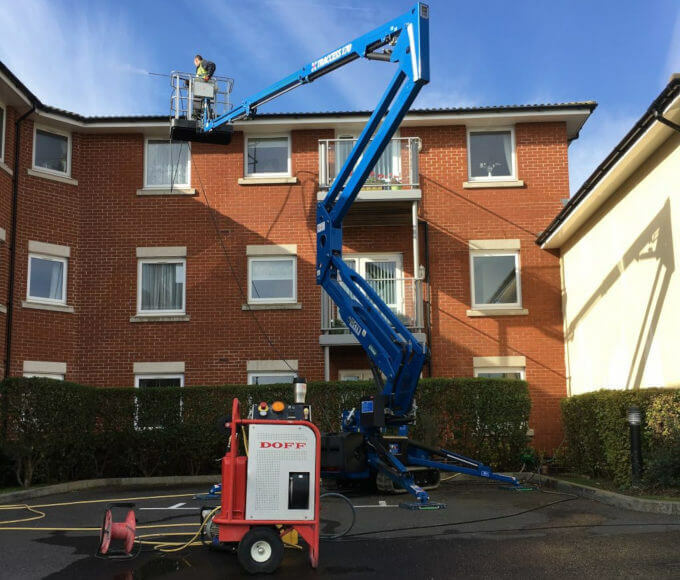 The CTE Traccess 170 makes simply work of this building in hampshire, since we took delivery of this cherry picker in the summer, it has yet to come back to our yard, with it’s flexibility and outreach we have been inundated with requests for its use. If you are looking to work at height the CTE Traccess is an excellent stable platform to perform a variety of different tasks, such as gutter cleaning, roof and tile repair, pest prevention systems, roof inspections/surveys and festive lighting installations. MC Property Maintenance hires out these machines either with operators or on a self-hire basis, for external and internal projects for short or long term contracts.